These's nothing better than trying NetWalk yourself. Download the 20-day free trial now! The package size is about 13.7 MB zip file. You are allowed to use the full function free trial for 20 days without any limitations. Please subscribe a license key if you want to use it for lifetime. Click to view the installation guide. Free for the first 20 days! 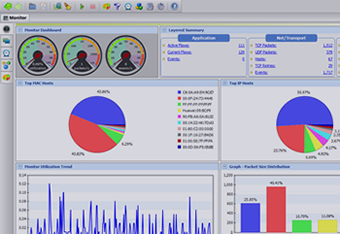 With the 20-day free trial, you are able to fully test the features of AthTek NetWalk Enterprise Edition. You can see the detailed packet sniffing results in the 20 day free trial, with all the network communications included. With the free trial, you will enjoy the best speed when process large packets. You can see the compare with other famouse packet sniffing software such as Commview. Packet filter is an important feature of AthTek NetWalk. After you download free trial, you will be able to try the powerful packet filter which we have preset some classic models. Also you can establish new models according to your need. You will enjoy the intelligent network traffic report and the navigation function between the report and detailed real-time network raffic data. You can see the version history as well as the details of each update. This will definitely help with understanding AthTek NetWalk better and quicker. The free home edition can only work 4 hours a day with less than 50 MB packet. Please purchase a license key for lifetime packet sniffing and network monitoring. The best monitoring software and adminstrator software specialists.